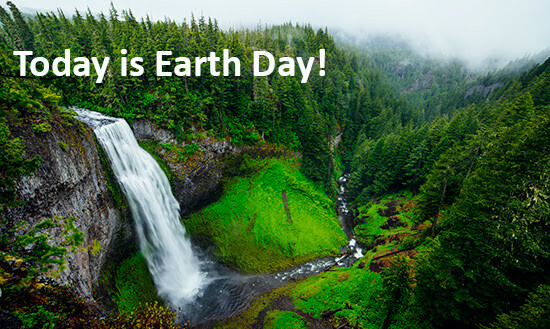 Together with our partner Earth Day Network, we’re happy to give trees a special nod today. At Global Footprint Network, we have a soft spot for trees and forests. They are an essential pool of biodiversity. And they are one of our most important ecological assets: A whopping 70 percent of humanity’s Ecological Footprint is comprised of demand for forest products (paper, timber, etc.) and carbon capture, an ecological service that forests provide. In fact, even if the whole Earth were covered with forests, we still wouldn’t have enough to meet our current demand for their products and services…Besides, we obviously need to leave some productive land available for crops to feed us. Overall, total forest biocapacity worldwide has declined by 5 percent since 1961, the earliest year reliable data is available. On a per-person basis, the decline is much greater, at 59 percent. Brazil, Russia, the United States and Canada are the countries with the most forested land in the world today. Combined, they generate 54 percent of the renewable goods and services that all forests provide globally. Protecting, restoring and maintaining forests is a significant responsibility of governments not just for the sake of their people, but for the world at large, as greenhouse gas emissions know no borders. 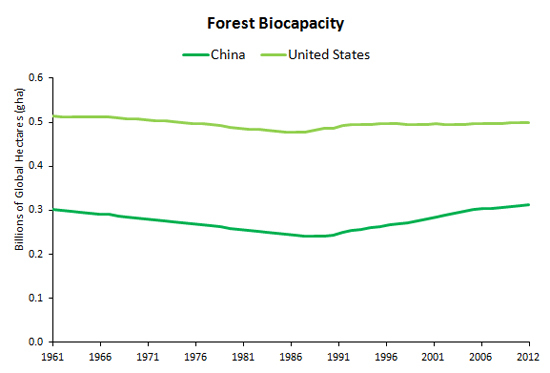 Of the top five countries with the highest forest biocapacity in the world, China has shown the most remarkable trend reversal, followed by the United States. Planting trees is an important, wonderful mission to pursue. But at least as important is focusing on reducing the demand we put on forests. First and foremost: carbon sequestration. Because we produce more carbon than our forests can absorb, it accumulates in the atmosphere and contributes to climate change. Since we can never plant enough trees to mitigate climate change, the path is clear: we need to reduce our carbon emissions. 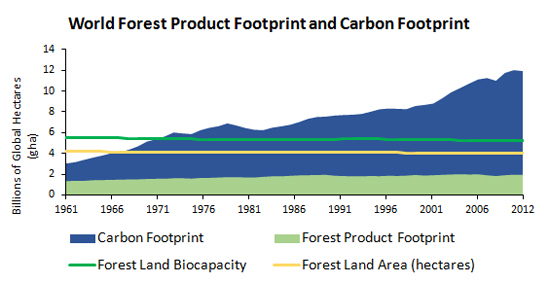 Click here for more information and graphs about the status of forests around the world.